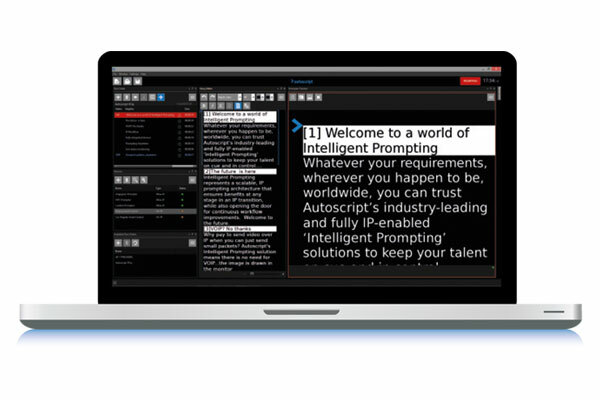 The power behind Intelligent Prompting WinPlus-IP News is the choice of newsrooms worldwide. In addition to the features of WinPlus-IP it offers compatibility with all leading NRCS including: Avid iNews, Dalet, News Wire, Newsmaker, Newstar. MOS Protocol devices supported include: Annova Open Media, AP ENPS, News Works, Octopus, Dayang, Sobey, NIS4, Inception & Eidos Media. WinPlus-IP News enables instant script updates from Newsroom systems. The connectivity status of each Newsroom is viewable at a glance and can be given a user defined name for easy reference. Busy productions will benefit from having multiple rundowns loaded for multi-programme operation. With multi-language compatibility, WinPlus-IP News offers a powerful Newsroom prompting package for use anywhere in the world.